1 1/4 x 1-inch solid 14K gold St. Christopher Medal. ST ANNE 8" x 10" Gold Framed Everlasting Plaque, Clear Lamination. This St Anne 8X10 Plaque features the CatholicShop.com money-back guarantee. Our Sterling Silver 24.25x15 Tubular Cross Pendant without Packaging features our 60-day money back guarantee and free Shipping Insurance, as does our entire line of religious jewelry. Part of our Religious Pendants line, this Tubular Cross Necklace features a weight of 2.568 DWT, which is the equivalent of 3.99 grams. 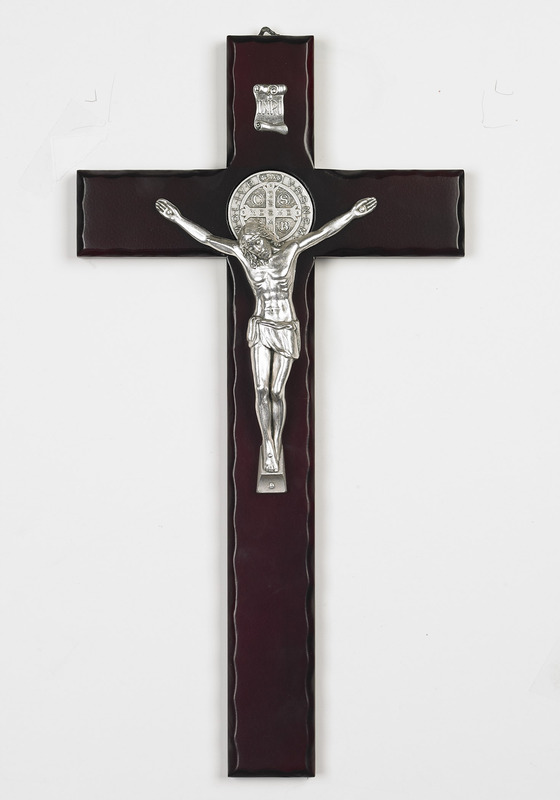 This 18 inch Wood St Benedict with Silver Corpus Boxed has passed our quality control assessment and meets our strict criteria to be a Catholic Shop product. Buy with confidence. Catholic Shop aims to carry the finest products on the market. Our staff has inspected and tested this 18 inch Wood St Benedict with Silver Corpus Boxed and found it to be worthy of our Satisfaction Guarantee.